Wondering how you can combat the day? 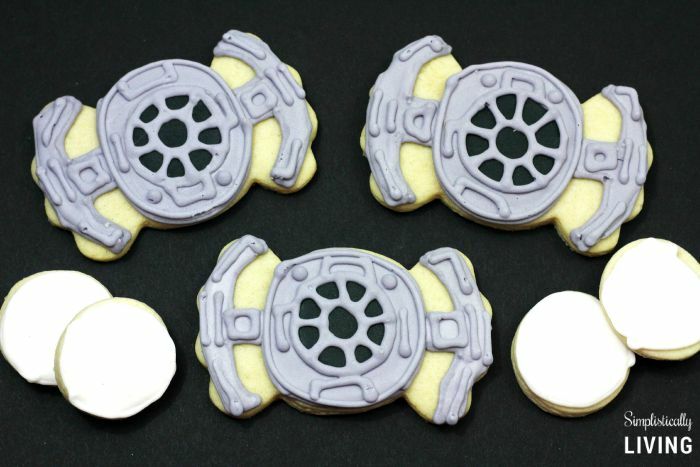 The solution lies within these TIE Fighter Cookies. And what I really mean by “lies within” is that the fly off the counter and into your mouth so they truly lie within you. They are awesome to look at and taste better than you can imagine! The TIE Fighter is easily one of my favorite ships from Star Wars. They are just so cool looking am I right? 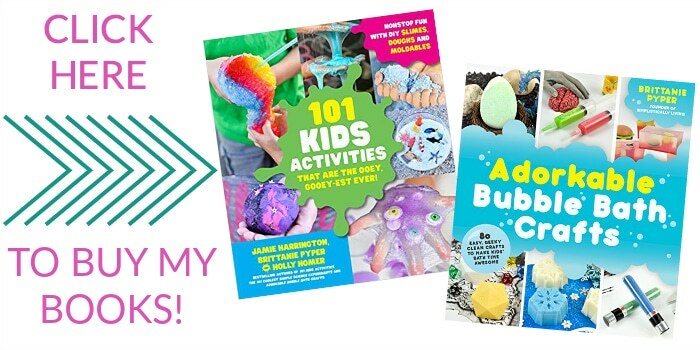 That is why I had to make these! 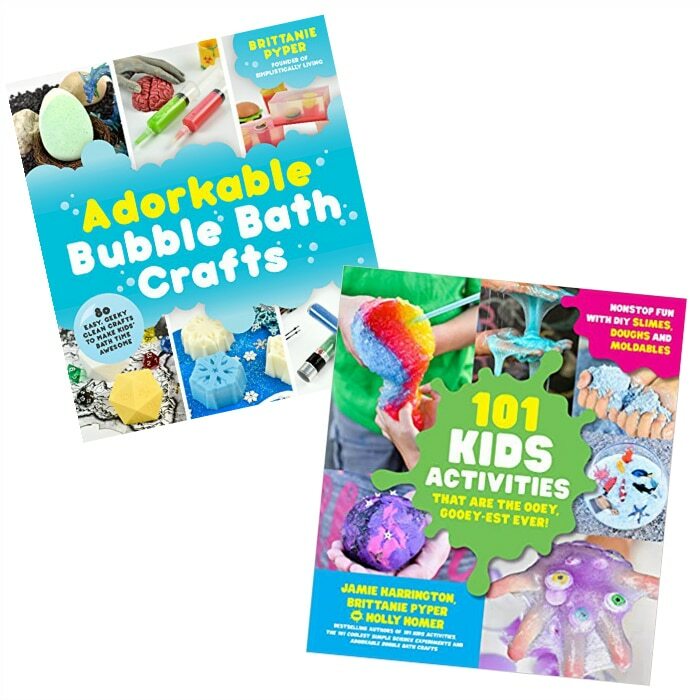 If you want to make your own, check out the tutorial below. Add all 4 eggs at one time. Continue to mix. Then add the vanilla and continue mixing. Add the dry mixture to the wet mixture and mix to make sure all ingredients are thoroughly blended. 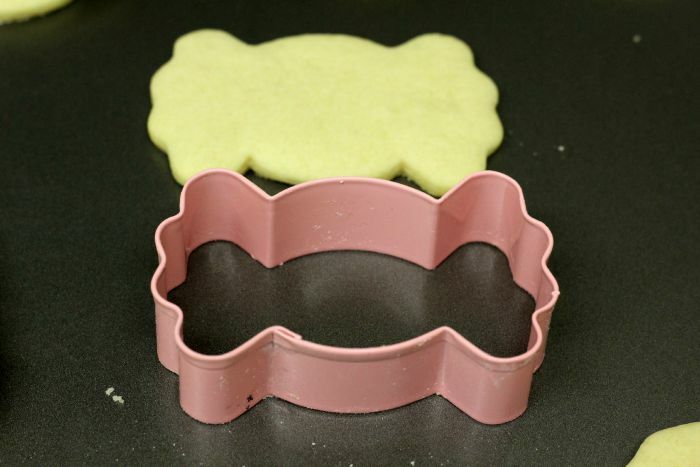 Roll the dough out on the cutting board and use the hard candy cookie cutter to begin to make your cookies. Divide the icing into 3 bowls. In bowl #1, adding a few drops of black gel food coloring, stirring to blend the color. This will give you that grey color. Bowl #2, adding several drops of black gel food coloring, stirring to blend the color to make black. The 3rd bowl just leave white. Spoon each color of icing into individual frosting bags with a #5 tips. Twist the open end of the bag to push the icing to the tip. 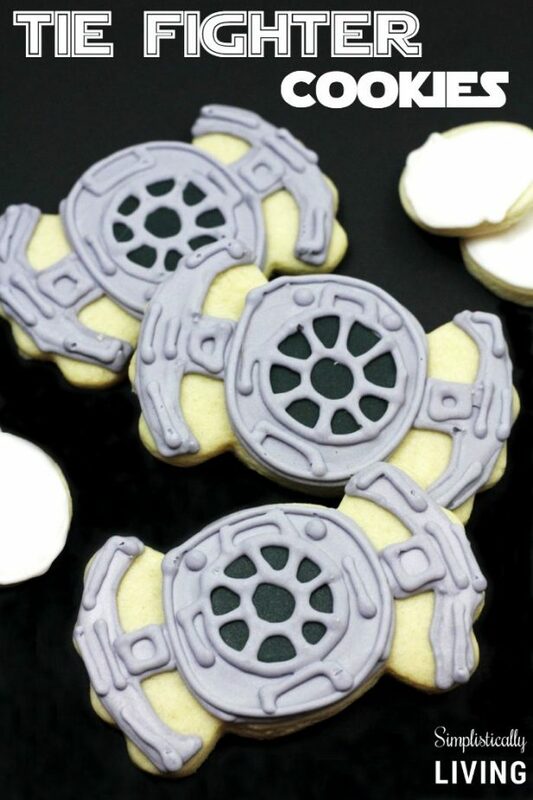 On these cookies the details are hand drawn following an outline or picture. Use a picture located on Google or a picture of this cookie as an sample to follow to add the details to the cookies. 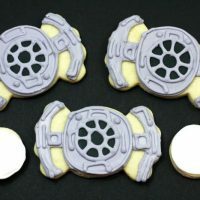 Draw the outline of the wings and main part of the Tie Fighter with a Wilton Foodwriter in black. Don’t worry you will cover this up with the grey icing. Outline each of the cookies in grey (covering the black outline from step 3). Allow to dry for 30 seconds. 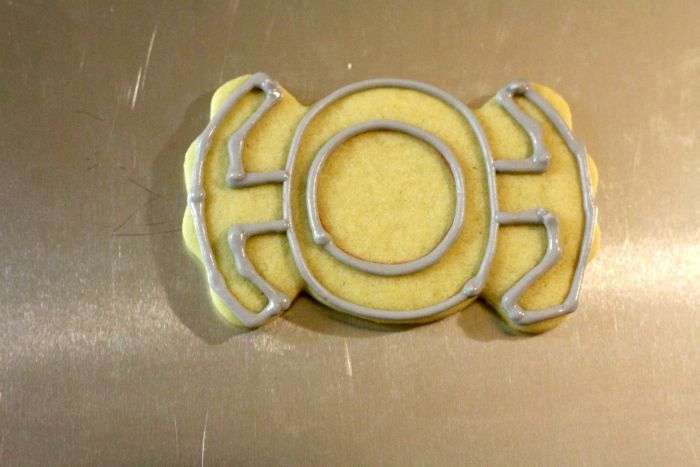 Outline and fill in the circle of the Tie Fighter in black icing. Allow this part to dry before covering it with grey. Use a thinner grey icing to fill in the outlined cookies. Tip: Squeeze the majority of the icing into a bowl then add 1 tsp of water to this and mix it in. Leave a small amount of the icing in the frosting bag for later use on the cookies. Once the outlining is dry begin to add the details to the Tie Fighter. Start at on end of the wings and work to the other end by copying the detail as outlined in the pictures. 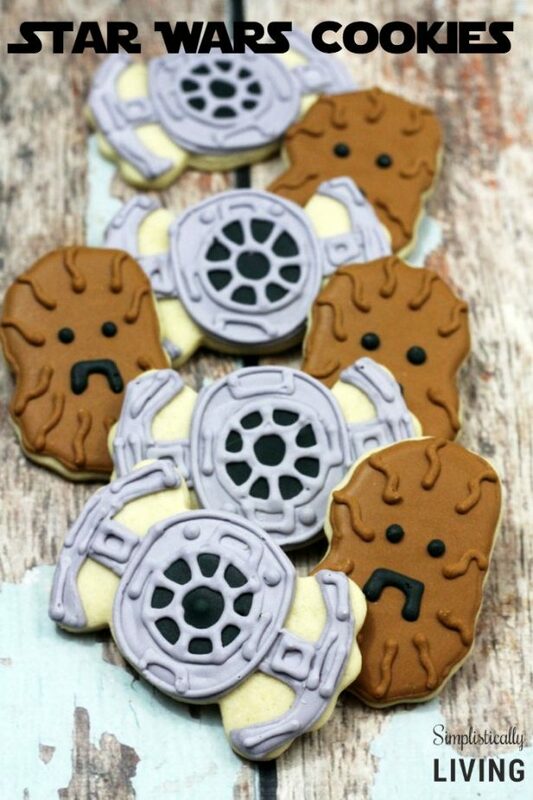 You can also learn how to make Chewbacca Cookies Here!